On this episode of Dugout Blues, before Jared and I have a lot to talk about. Seriously. The Dodgers had a good series against the Pirates before stepping on it a bit in Anaheim. That’ll happen, unfortunately. Matt Kemp and Kenley Jansen were voted and selected (respectively) to represent the Dodgers in the All-Star Game. Kemp is an All-Star. Yes, this is 2018. I’m as shocked as you are. Max Muncy and Ross Stripling were the notable Dodger snubs, but Muncy has a chance because he’s on the Final Vote ballot. Also, the Dodgers have teamed up with the Yankees, who are trying to get Giancarlo Stanton in the game. So, congrats on the All-Star berths, guys. The Dodgers made a trade this week. It was one I wrote about and didn’t really understand. Dylan Floro seems like a solid reliever, but I don’t like giving up a young arm in James Marinan to get him. It’ll be interesting if we ever hear how much international spending money the Dodgers acquired, which seems to be a significant part of the deal. The Manny Machado rumors won’t die, and the interest is more than passing. 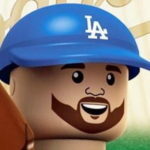 He’s a great player who fits on every team, but there would be a ton of moving pieces to fit him into the Dodgers’ lineup. More importantly, they’d be giving up assets that could be used to fill actual holes, like in the bullpen. And if you’re going for a premium, big-name guy, why not go one step further and go after Jacob deGrom? In the minors, Will Smith is on an absolute tear right now. He’s up to 14 home runs and a .964 OPS in the Texas League. You have to think a promotion to Triple-A is coming soon. Alex Verdugo is still hitting well and DJ Peters had a bounce-back week. I fawn over Miguel Vargas while Jared has to pump the brakes on my hype. On the mound, Dean Kremer might become a more household name among Dodger prospects. His Double-A debut was phenomenal (7 IP, 0 R, 11 K), and he’s from Stockton, so you know he’s gonna be good. Dustin May, subject of trade rumors, is finding his groove with Rancho. Mitchell White didn’t have a great week, but his last outing was better than his previous one. Oh, and Yusniel Diaz and Keibert Ruiz will represent the Dodgers in the Futures Game (Sunday afternoon). The draft signing deadline passed, and the Dodgers didn’t sign their top pick J.T. Ginn. That was a big bummer. They did sign 2nd-rounder Michael Grove and nabbed 15th-rounder Julian Smith, but the overall class takes a big hit by not landing Ginn. We end the episode with a solid Q&A. Please keep the questions coming.